David Audycki became a licensed Optician in New York State in 1986 and relocated with his family to North Carolina in 1995. 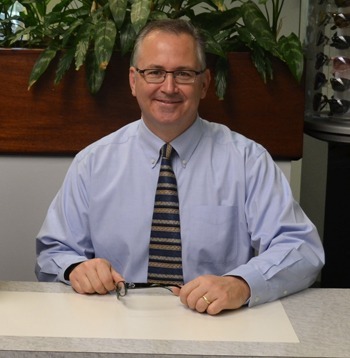 David has years of experience in troubleshooting and repairing eyeglasses. He takes pride in offering the newest digital lenses with over 1,000 choices of name brand frames and sunglasses. Your glasses will be expertly adjusted when you pick them up or if they ever get out of alignment. Eyeglass prescriptions from other offices are welcomed.